Now that Rachel (Meghan Markle, left) has taken over managing the law firm’s associates from Louis (Rick Hoffman), it’s probably wise to get as much input as possible on how to be the boss—even if it’s from director Roger Kumble (far right). Harvey’s membership in a car club has its privileges: Macht got to drive a ’72 Ferrari Daytona through the streets of Toronto—although he was a little less cool and collected than Specter. “I almost ran into a curb and totaled the car,” he admits. Director Maurice Marable (near left) walks Macht and Christina Cole, who plays Harvey’s former shrink turned paramour, Paula, through a scene sure to please fans. “I think [we] have done a good job of shaping that storyline in a very sensitive way, where it teases the audience with what they think they want,” Macht says. They may not be married yet, but the betrothed Mike and Rachel “are just happy to have each other in their lives again,” says Adams, here on the nearly-weds’ impressive bathroom set. Toronto may be about 500 miles from New York City, but you’d never know it by watching Suits. The USA drama about the litigators at Manhattan’s Pearson Specter Litt has been consistently outfitting the Ontario city to look like the Big Apple for exterior filming for seven seasons (interiors are staged at the massive Downsview Park Studios, next door to where Designated Survivor shoots). But while things have remained status quo on set, on screen the fashionable firm has recently faced some shake-ups. Power attorney Harvey Specter (Gabriel Macht) has been upgraded to managing partner following the exit of Jessica Pearson (Gina Torres), and convicted fraud Mike Ross (Patrick J. Adams) is now a legitimate lawyer—but the cast is always chill and cheery. And that suits us just fine. 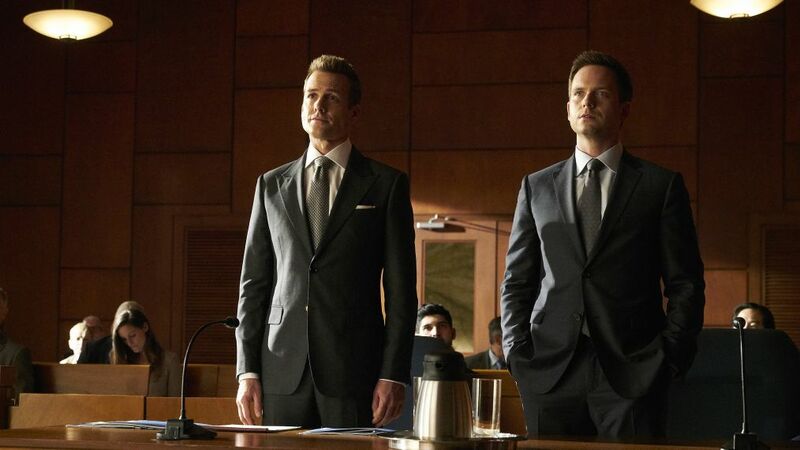 The return of 'Suits' awakens nostalgia for other awesome TV bromances.